With high-value areas such as banking, securities and real estate driving growth, Vietnam’s stock market is already able to satisfy many of the Morgan Stanley Capital International (MSCI) upgrade criteria – and it is making strong headway in meeting its additional requirements, too. BIDV Securities Company (BSC) believes that if this recent upward momentum can be sustained, the Vietnamese stock market could receive a market upgrade by as early as 2020. Over the past quarter century, Vietnam has experienced a remarkable economic transformation. By shifting away from the agrarian economy of its past and moving towards an industry-and-services-driven model, the nation has rapidly emerged as one of South-East Asia’s fastest-growing economies. Indeed, having recorded an average annual per capita GDP growth rate of 5.3 percent since 1986, Vietnam has been developing faster than any other Asian economy – except for its neighbour to the north, China. This growth trajectory can be traced back to the launch of the 1986 Doi Moi economic renewal campaign, which saved Vietnam from the brink of economic crisis by opening the nation up to lucrative foreign investment. These wide-reaching reforms had an almost instant impact, transforming a stagnant agricultural economy into the vibrant, market-driven system that Vietnam embodies today. Since this pivotal moment, Vietnam has also benefitted from a programme of intense internal restructuring, which has seen successive governments push through sweeping regulatory changes to increase inflows of foreign direct investment (FDI). The introduction of such pro-business legislation has created an attractive business environment for international companies, and Vietnam now ranks as one of Asia’s most popular destinations for foreign investors. 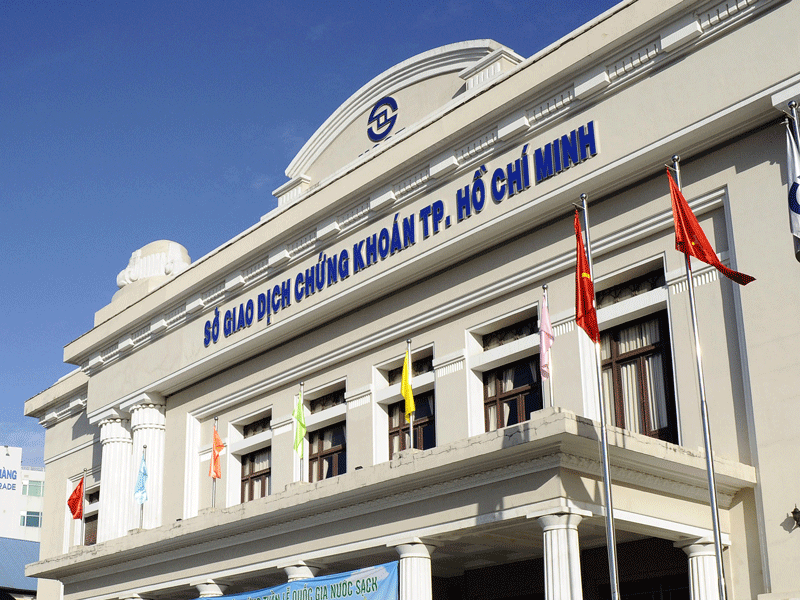 In a demonstration of economic ambition, the Ho Chi Minh Stock Exchange was launched in 2002, signalling the birth of Vietnam’s stock market. Showing consistently strong performance in the years since its establishment, the Vietnamese stock exchange now ranks among Asia’s top bourses. And with economic growth predicted to reach an impressive 6.8 percent in 2018, Vietnam’s progress shows no signs of slowing down. Boasting increased macroeconomic stability and a proudly pro-business financial environment, Vietnam is now one of the world’s most attractive markets for foreign investors. Over the course of the past 20 years, Vietnam has received over $70bn in FDI, with FDI enterprises now responsible for 30 percent of the nation’s total industrial production. This FDI boom appears set to continue, with Vietnam attracting investments totalling $5.8bn in the first quarter of this year alone. Along with Vietnam’s stable business environment and high-quality investment opportunities, the nation’s vast demographic dividends have also proved appealing to foreign investors. With a population of almost 100 million people – 60 percent of whom are under the age of 35 – Vietnam is able to supply a young, highly skilled and abundant workforce to international enterprises at a competitive cost. What’s more, Vietnam enjoys one of the healthiest independent-to-dependent ratios in the region, with a large pool of skilled and educated workers. As Japan, South Korea, Singapore and even China struggle with the challenges of an ageing population, Vietnam’s healthy demographic structure is particularly attractive to Asian investors from the surrounding region. Indeed, South Korea was the leading investor in Vietnam in the first quarter of this year, with FDI totalling $1.84bn, while Hong Kong and Singapore followed in second and third place, respectively. In order to further boost inflows of FDI to Vietnam, the government has worked diligently to improve its institutional framework and transparency, as well as to establish more favourable regulations for foreign investors. This commitment to creating a robust business environment has seen a number of significant changes in recent years, from a reduction in corporation tax to tax breaks for specific sectors. These efforts have yielded extremely positive results, with Vietnam jumping 14 places to rank 68th in the World Bank’s Doing Business 2018 report. The report revealed that Vietnam, along with its South-East Asian neighbour Indonesia, has implemented the most financial reforms in recent history, with an impressive total of 39. Over the course of the past year, Vietnam has notably scrapped the previously mandatory 12-month carry-forward period for VAT tax credits, and has also created an online platform to facilitate filing social security contributions. Reforms such as these demonstrate the government’s commitment to continuously improving the business climate in Vietnam, and help to explain why foreign investors continue to flood to the Vietnamese market. Foreign investors have played a significant role in our nation’s economic growth since the transformative Doi Moi period. Without these crucial investment inflows, Vietnam simply would not be the roaring economic powerhouse that it is today. From boosting job creation to driving technological advances, FDI has been a catalyst for socioeconomic development in Vietnam. As Vietnam seeks to maintain its impressive growth rate, it is vital that the nation continues to attract FDI, particularly in high-value-added areas. At BSC, we are committed to increasing FDI inflows to Vietnam through our investment, brokerage and financial advisory services. Thanks to our local market expertise and valuable access to data, BSC has established a large international customer base, comprising clients from various fields and professions. Our investment advisory team applies its in-depth market knowledge to its brokerage business, offering clients crucial guidance as they explore promising investment opportunities. This brokerage business is supported by BSC’s detail-orientated research and analysis department, which uses a data-driven approach to identify appropriate investment strategies for both domestic and international investors. By analysing current market trends and forecasting future industry patterns, the research team assists clients in deepening their understanding of the Vietnamese business landscape. Meanwhile, our investment banking department provides a range of crucial products and services to clients, from assisting with restructuring or privatisation initiatives to advising on mergers and acquisitions (M&A). Vietnam has experienced a surge in M&A activity in recent years, with deal values reaching a record $10.2bn in 2017. This trend shows no signs of stopping in 2018, with M&A activity totalling $3.35bn in the first half of the year, up by 39 percent from the same period in 2017. Despite the disappointing collapse of the Trans-Pacific Partnership earlier this year – and subsequent fears over a potential Sino-US trade dispute – the Vietnamese M&A market has continued to flourish, with the property sector driving deals in the opening months of 2018. With the Vietnamese Government planning to sell shares in hundreds of state-owned firms in the coming years, the nation’s M&A market is set to attract even more international attention. As one of the nation’s largest securities firms in terms of capital and size, BSC has played an important role in shaping the Ho Chi Minh Stock Exchange, which has performed strongly since launching in 2002. With investors continuing to exhibit a keen interest in the Vietnamese stock market, the Ho Chi Minh Stock Exchange may well be upgraded to emerging market status by 2021. While obstacles like information disclosure and market transparency may pose a challenge to any hopes of a status upgrade, we are optimistic that Vietnam will be admitted onto the MSCI watchlist for market reclassification, scheduled for release in 2019. In June, MSCI announced that it would be upgrading both the Saudi Arabian and Argentinian stock markets to emerging market status. This gives much cause for optimism, as BSC believes the Vietnamese stock market compares well – and in some areas, favourably – to the Saudi Arabian and Argentinian markets. In contrast to the primarily oil-driven Saudi economy, the Vietnamese market is highly diversified with a range of well-performing domestic industries. A fall in the peso’s value, meanwhile, has taken a severe toll on the Argentinian market, with the country currently reporting one of the highest inflation rates in the world. In comparison, the Vietnamese market is stable, with consistently high GDP growth rates. Interest rates and foreign exchange markets are also relatively stable, with the securities market boasting particularly strong and steady growth. What’s more, the Vietnamese Government is committed to cutting red tape and creating an attractive business climate, accelerating regulatory changes that have helped to create more opportunities for both domestic and foreign investors. As one of Asia’s most promising bourses, Vietnam’s stock exchange is considered to be a great prospective market. Indeed, the Vietnamese stock market could achieve its well-deserved market upgrade in just a few years if it maintains its current trajectory. With this exciting possibility now on the horizon, the future for Vietnam’s stock market looks brighter than ever.